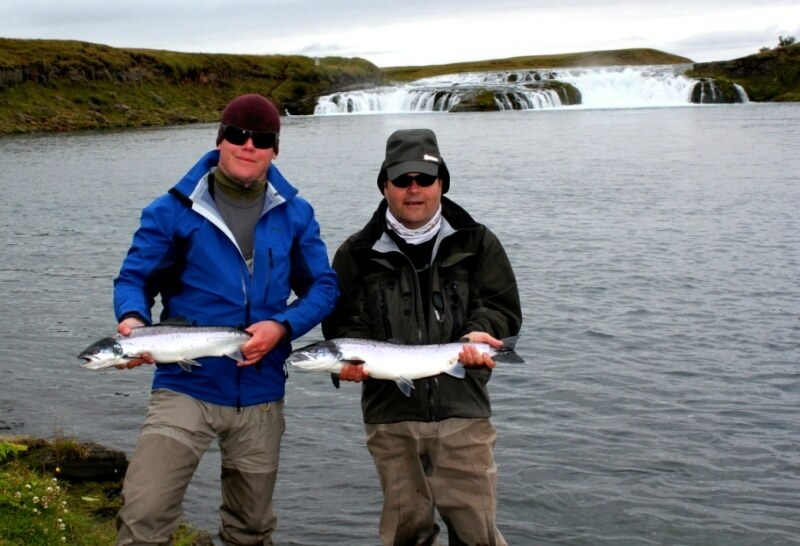 The river West Rangá (Ytri-Rangá) is one of the Iceland most providing salmon rivers of Iceland, this 16 rod river provides 4000 – 7000 salmon each year. In the river you fish for Atlantic salmon few Arctic char and sea trout are also caught each year. The Salmon size is 5-7 pounds and 9-16 pounds the multi winter salmon. The salmon in the river has great shape, and the male fish that are coming after spending one year in the sea are often be 6-9 pounds. Those salmons are amazing fighters and not so easy to land. 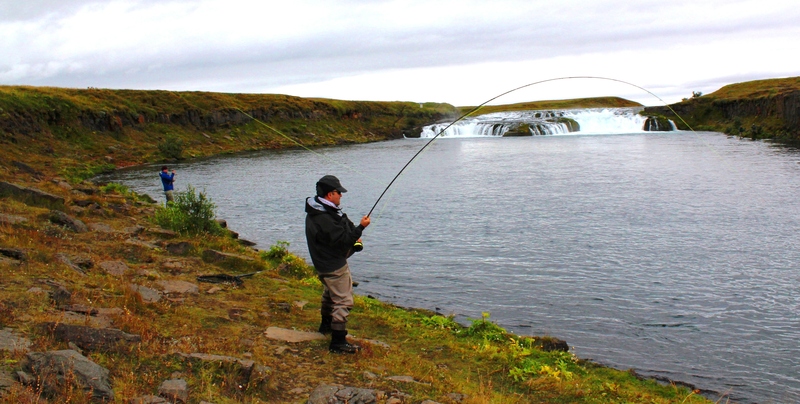 West Ranga is a rather large river on an Icelandic scale, so a double handed rod comes in quite handy. Many anglers prefer the single handed rod, and it will do in most pools – but not all. Most anglers use the floating line in West Ranga, but with a sink tip attached to the floating line. The best flies/tubes are generally ¼ – 1 inch long, either plastic tubes with cones or brass tubes, but plastic tubes without cones and traditional flies also tempt the salmon. The flies that catch the most salmon are the following; Black & Blue, Collie Dog, Snaelda (the German version, the black version and the blue version), Sunray Shadow, Red Frances and Black Frances. Most of these flies/tubes can be purchased at the West Ranga lodge or from the river guides. 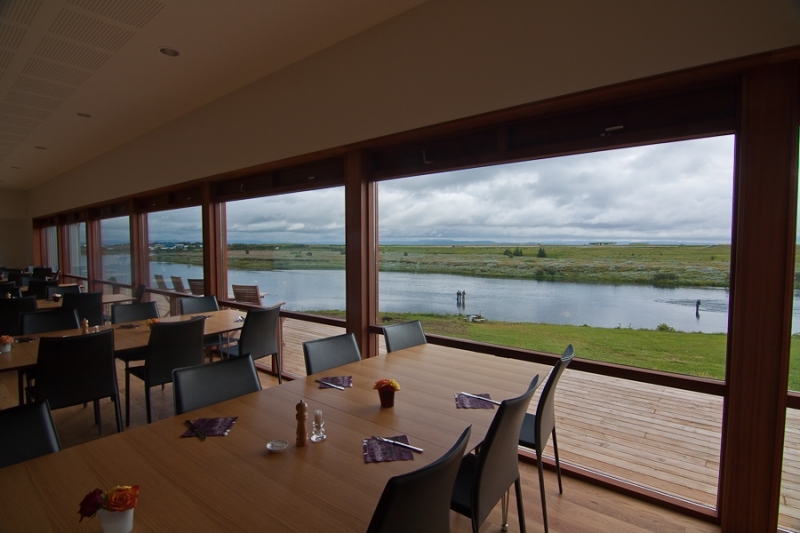 In recent years the biggest problem in Icelandic rivers has been the mid-summer draught that has practically dries up many medium or small rivers from late July until the end of August. West Ranga does not have that problem; her waters are clear and consistent throughout the summer. South of Iceland, 90 km from Reykjavik. Prime time: July 15th to August 25th. Average size of fish: 7 lbs.